In this article we will demonstrate why the epidemic of physician burnout is the single largest negative influence on your organization’s culture, performance and profitability. We will then show you a promising four part intervention that can lower burnout rates and create a culture of support and engagement. Burnout rates may be higher in the American healthcare industry than in the rest of the world. 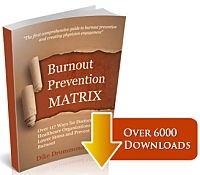 The 2015 Medscape Physician Lifestyle Survey (2) reported a burnout rate of 46%. This was up from 39.8% in the 2013 survey. 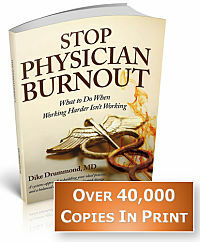 No other internal or external factor has a more negative impact on your organization than physician burnout. Physician burnout is a disorder of energy balance. Imagine that each of us has an internal energy account holding our life force. Like a savings account at your local bank, your internal energy account can be in a positive or negative balance. The balance in your energy account has a powerful influence on the quality of your performance, especially for physicians. Burnout is the constellation of symptoms that occur when your energy account is in a negative balance. You can continue to function in this depleted state – residency is a work hardening experience where physicians learn to practice with a negative energy balance - however, dozens of studies show your skills and performance suffer when you have a negative energy balance. You begin to doubt the meaning of your work. A common thought is, “What’s the use, my work doesn’t really serve a purpose anyway.” Or you may worry that you will make a mistake if things don’t get better soon. In over 1600 hours of one-on-one coaching experience with burned out physicians, here are the five causes of burnout I see commonly in practicing physicians. Please note that even though I am describing physicians below, all members of a healthcare organization share these burnout risks both the administration and clinical side of the business. Being a physician has been and always will be a stressful job. We are dealing with hurt, sick, scared, dying people and their families. Our work takes energy even on the best of days. Our practice is the classic high-stress combination of great responsibility and little control. This stress is inescapable as long as you are seeing patients, no matter what your specialty. On top of the generic stress of caring for patients above, your job has a very specific set of unique stresses. They include the hassles of your personal call rotation, your compensation formula, the personality clashes in your department and many, many more. You could change jobs to escape your current stress matrix and your next position would provide you with a whole new stress matrix. In an ideal world, your larger life is the place where you recharge from the energy drain at work. Two major factors can prevent this vital recharging activity. a) We are not taught life balance skills in our medical education. In fact, our residency training teaches us just the opposite. We learn and practice ignoring our physical, emotional and spiritual needs to unhealthy levels and then carry these negative habits out into our career. b) Multiple situations can arise at home that eliminate the opportunity to recharge your energy account. Your life outside your practice then switches from a place of recharge and recuperation to an additional source of stress. As premeds several important character traits become essential to graduating from medical school and residency. Over the 7 plus years of our medical education they become hard wired into our day to day physician persona creating a double edged sword. The same traits responsible for success as a physician simultaneously set us up for burnout down the road. 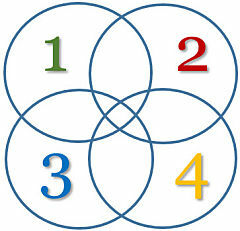 Here are the top four I see in my physician coaching practice. In addition, we absorb two prime directives. One is conscious and quite visible. To show you this programming in stark relief, please try this thought experiment. Imagine you are back in your residency training. A faculty member walks up to you and says, “You look really tired. Is everything OK?” How would you respond – and how quickly would that response come out of your mouth? That is the essence of this deeper prime directive. This kneejerk defense makes it very difficult to help physician colleagues even when their burnout is clear to everyone on the team. Put the five personality traits together with the two prime directives and you have the complete conditioning of a well-trained physician. Combine this with a training process that is very much like a gladiator style survival contest, and doctors become hard wired for self-denial and burnout. If your healthcare organization were able to lower burnout rates, you could reasonably expect to see improvements in patient satisfaction, quality, safety, morale and decreases in errors, malpractice cases and turnover. Here is a four-part program we are testing in several client organizations with promising results. When fully implemented, these four steps will prevent burnout, normalize the discussion around stress and burnout and build a culture of engagement and support across the physicians and staff. All physicians, APP’s and staff in your organization graduate with a huge hole in their medical education. They learn nothing about stress management or burnout prevention. There is no room in the curriculum. This vacuum is what allows us to develop the negative habits that increase burnout risk. It is up to the employer to fill this educational hole. 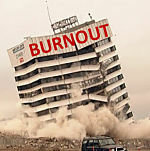 Teach burnout’s symptoms, pathophysiology, effects, prevalence and the five causes. Make sure your people understand their programming and when their actions are being driven by unhealthy habits. Use live trainings, written resources and mini-burnout prevention lessons in your corporate intranet training site to equip everyone with tools to take better care of themselves and each other. Incorporate burnout education into your onboarding process going forward so that understanding and preventing burnout and supporting each other’s health and wellbeing becomes part of “the way we do things around here”. The answers to these questions become the project list for your BPWG. Select one and take highly visible action to address it. Disseminate your project innovations to the rest of the group as quickly as possible. Repeat the surveys and improvement cycle at least as often as annually. The BPWG is the ideal place for physicians in any internal Leadership Development Academy to practice their meeting facilitation and project management skill. All project success will translate into immediate lowering of physician stress levels and prevention of physician burnout. A highly visible, 24/7/365 physician hotline where any provider can call for help and support. 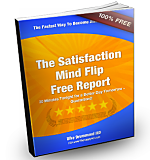 This service is the gateway to a physician specific EAP program. Physicians will not utilize traditional EAP systems. This program assures that the doctors have their own pathway to help and support when in a crisis. Before the mergers and acquisitions that created today’s mega-groups, practices were smaller, physician lead and much more collegial. We knew all of our partners and most of their family members. This social aspect of healthcare has mostly fallen by the wayside as hospitals and groups rapidly accumulate the surrounding practices. Without a social bond with your group and co-workers, it is very easy to feel like a cog in a big machine, only valued for your last month’s RVU production. With just a small budget, some creativity and the same “ask the people what they want” survey mentality as the BPWG above, you can create a vibrant social calendar for your physicians and staff. You can re-establish the social glue that lets us see each other as humans again. In combination these four steps can lower, stress and burnout, build a culture of much more engagement and support. Your organization becomes the provider of choice because your people offer better care, naturally and automatically. You become the employer of choice for the independent doctors in the community because it is clear you care about your people.